Is Comparison Getting The Best Of You? Many of the clients I work with who struggle with different eating disorders get caught up in the comparison game which significantly impacts their recovery journey. The more we look outward, the less we are looking inward at the work that needs to be done to move ourselves forward. Has comparing ourselves ever really lead anyone to feeling better or more confident in ourselves? Typically, comparison makes you feel worse, and in the eating disorder world, the comparison often leaves you feeling less worthy of support, more rooted in your eating disorder, and less able to move forward in a healthy direction. A metaphor I recently used in session with a client was about each person in recovery being out to sea in their own boat. You can see a bunch of other people in similar boats, but each person’s boat looks a little different. Some boats may seem stronger, more adept at battling the storms. Others may trigger our guilt because we can see that their boat isn’t as equipped as our own. The challenge is the more we keep scoping out other people’s boats, the less we are doing the work to get ourselves to shore in our own. In other words, when we compare ourselves with people who we feel are, for example, “more sick” than ourselves, instead of sending them loving encouragement and well wishes, we keep taking out our axe and knocking out a fundamental part of our boat so that we sink at the same pace. With each new hole, our boat becomes more damaged, leaving us to struggle to stay afloat. This both detrimentally affects you, and also has no impact on the other individual’s journey. Taking ourselves out because others are struggling moves neither ourselves nor others closer to shore. Their boat is their boat, their struggles are their struggles, but it doesn’t change, minimize or dismiss your own. I think one of the greatest skills we can learn and use in recovery is practicing grounding ourselves so much in our own journey that what others are doing feels secondary to what we are doing. Learning new skills and taking advantage of the supports you do have in place only strengthens your ability to reach the shore. Your journey to recovery is unique and it will require things that are unique to you and your own experience. Going back to the metaphor, envision your support team in a helicopter flying above you with supplies. They can’t pick up your boat and get you to safety, that is your job, but they can drop supplies down to you that are relevant to your specific journey. When we focus on comparing ourselves, we keep looking to others, either to see what supplies they have that we don’t, or vice versa, what we have and they don’t. 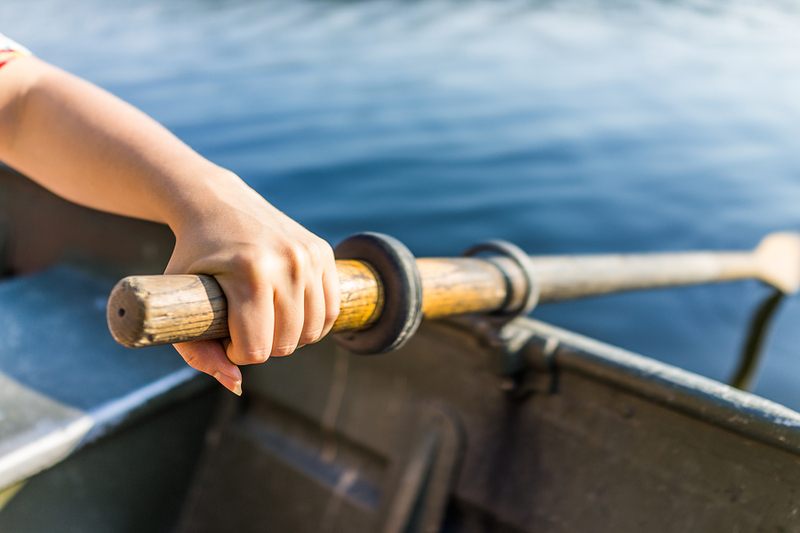 Giving up your paddle when what they need is a bucket is pointless – neither you nor the other person will benefit from this. Instead, focusing on engaging your support team in a meaningful way and keeping yourself on task by implementing the tools that are relevant to your ownpersonal journey will enable you to keep getting stronger and recovery to keep getting closer. Take some time this week to do an assessment of your own boat. Where are there holes that need fixing? What are the supports you have in place to mend your boat and get yourself closer to shore? Keep focused on your own journey, it is, in the end, the only one you have control over. Previous post: 4 Communication Styles in Relationships. Which One Are You?